On arrival in our welcome area, you’ll find all you need to fuel your day out. 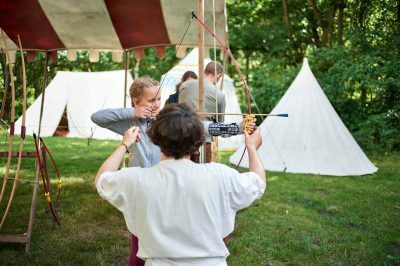 Have a browse – there’s lots to see and learn here, from the wonderful wildlife that makes its home in Sherwood Forest, to the legend of Robin Hood and his infamous gang of outlaws. 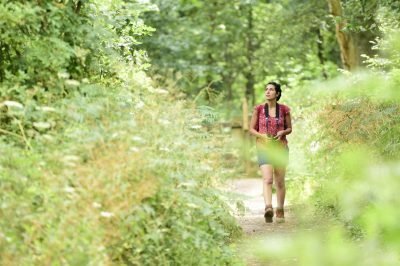 Many of our visitors choose to go-it-alone and head off to see what they can find – but if you want some inspiration, pick up a trail guide – whether you’re inspired by the great oaks or on the hunt for Robin Hood, find the trail which best suits. Whichever you choose, there’s lots to find out about the wonderful wildlife, legends and oak trees which fill the forest. Talk to our team – they love sharing stories about Sherwood and helping bring this site to life for our visitors! Year-round we also have our Wildlife Explorer backpacks available to hire for just £3. 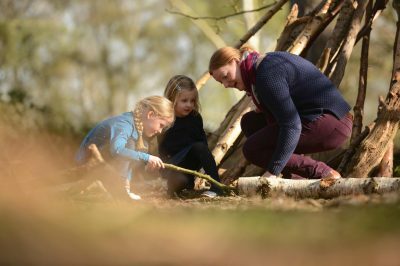 There are different packs available for different ages, and each contains fun seasonal activities to help our young explorers discover the forest. Ask about hiring these in the centre! If you are interested in finding out about becoming an RSPB member, and helping protect and care for this special forest, you can ask any of our staff members around the site. Benefits include not just free parking at Sherwood, but at more than 170 reserves around the country.